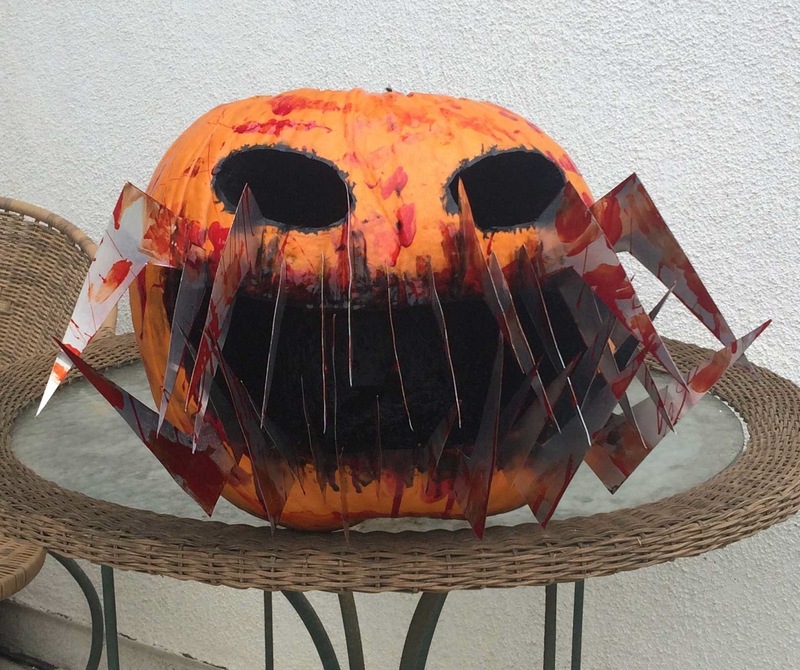 Home > Pumpkin Carving Contest Winners 2015 > Black Fangs Make This Pumpkin Look Cool. I'm not sure how this pumpkin was accomplished. I have many questions. Is that black paint on the inside of the pumpkin. It doesn't look burned. What is it? What about the teeth, are they made from plastic scraps? Sheet metal scraps? Anyone?